Generate XKCD plot like this by adding a single function call! 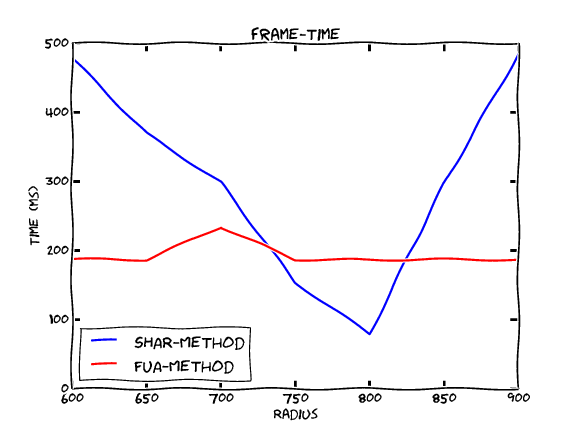 Don’t you think those plots, charts and graphs used in XKCD comic strips look really cool? I also think that by mimicking handwriting, these plots actually make the data more understandable. But, that’s just me. If you see the above object being created then your Matplotlib supports XKCD plots. Jump to step 4. If you get a AttributeError: 'module' object has no attribute 'xkcd' error, then you need to build the latest version of Matplotlib from source. See the next two steps. I did these because building Matplotlib needs TCL and TK libraries for displaying plots and it needs a recent version of distribute. Hopefully, that installation should work. If it fails during building then check what libraries its missing and install those packages. XKCD plots use a font named Humor Sans. Download it from here. To install it follow the steps described here.